I remember decades ago ordering the Union Square Cafe cookbook from one of those discount book selling deals (“sign up and get a 10 books for a penny!”) that used to come in the mail in with the discount magazine subscription and discount music casette subscription notices. 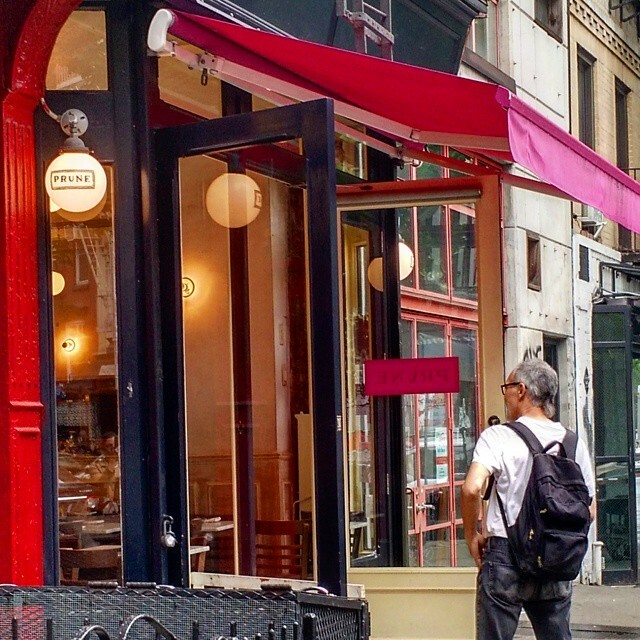 I didn’t know much about this cafe, but I knew it was in New York City and I thought that 1. New York City was sophisticated and 2. probably the closest I’d come to eating there would be through reading the cookbook. Back in 1994, I’d only been to NYC once and my main memory was standing over the subway grates while the warm subway air gusted up, eating a soft pretzel that disappointed me because it got soggy at the edges and tasted like the roasting chestnuts (for the record, I now love chestnuts. Love). I’m pretty sure I was young enough that I never actually cooked from that book, or the others I ordered, I believe I just read them. Cookbooks are an excellent way to get a glimpse into other places – even some more exotic than New York. Many have essays in with the recipe. Plus, now I actually cook the recipes, too. You can read about China or India or Mexico or a neighborhood in New York in any library book, with a cookbook you get to create the food and experience in real life a part of being there. A delicious piece of being there. But is that really true? Do the dishes that cookbook-writing chefs have translated for home kitchens really taste the same as the originals? A good question to ask – I just did a tour of NYC to check up on the answer: Prune, Momofuku Milk Bar, Di Fara’s Pizza (it’s in a chapter in Delancey), Pok Pok NY, Robicelli’s Bakery, Liddabit Sweets, Dominique Ansel’s Bakery (the one with cronuts). The straight ahead answer to the question is – yes, yes the cookbooks are excellent representations of the food at their respective home restaurants / bakeries. Caveat here being that there’s only one of me, and I only had a few days, so I did what I could with sample size and it wasn’t perfect. I didn’t expect the cookbook recipes to be a good match. Maybe it’s the pessimist in me, or that central Vermont seems so very far away from the New York City food scene, or that I read too much flowery food writing and when I don’t have such a poetic response to the dish I make at home I assume that it failed. All wrong instincts. I should have laid much greater odds on the foods matching up. For one thing, many of these particular books didn’t go out of their way to make the food easy for the home cook. As the Liddabit Sweets authors note, they’ll happily give away all the secrets of their candy bar recipes, because then people will appreciate just how much work it takes (and therefore why the final products are so expensive). Yet even without going out of their way to simplify, these chef-authors have necessarily made it a lot easier. We the reader didn’t have to invent the recipes, we don’t have to turn out hundreds of them a night, we don’t have to figure out how to make them exactly the same each time, or how to make them look beautiful. We also only got a portion of the possible recipes, we aren’t responsible for the full menu rotation. In some cases – like the stale cellophane wrapped cookie I got from a Momofuku Milk Bar outpost (see the next entry on that) – we’ve also been spared truly large production ramp ups. Can an aged cookie ever compare with a straight from the oven one? Here’s another thing I realized when touring the sites of my cookbook foods: I really like the cooking part. Not every second of every day, there are definitely nights when I’d rather get some simple takeout. However, turns out, if I eat a Liddabit Sweets candy without having destroyed the kitchen, stayed up well past midnight, burnt chocolate, burnt myself, dropped a thermometer in scalding hot sugar syrup, produced more than my household will ever consume (these recipes only scale down so much), changed the recipe in pursuit of my own possibly-misguided whimsy, changed the recipe again to fix the problems the whimsy created, and changed again, and made myself moderately ill with candy sampling . . . well, the experience seems a little empty. I might be in the minority on that one. Short version: I’m totally justified in buying so many cookbooks! Or, maybe, short version: Chefs can do a really, really good job writing cookbooks and you should use them! Want additional notes on the tour locations? There’s another post on that. . .